Identifying the most viable source of long-term funding for infrastructure projects nationwide is an elusive task, the country’s top transportation officer explained last week at the Aspen Ideas Festival. Responding to whether the Trump administration would endorse an increase in fuel taxes, Transportation Secretary Elaine Chao emphasized myriad challenges with adopting a single long-term funding fix for infrastructure, such as increasing fuel taxes. “It’s hard to get consensus on which ones,” Chao said during a session on June 29. The secretary was referring to funding alternatives such as tolling, fees for miles traveled or taxes on vehicle parts. 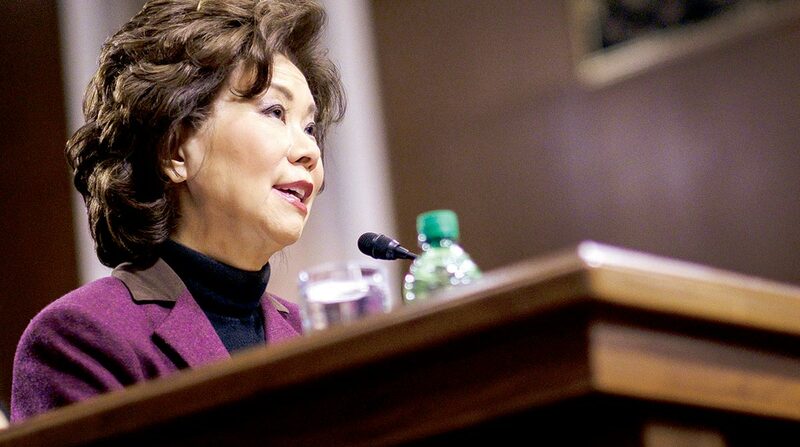 “We want to be able to allow the private sector to invest in the federal sector,” Chao said, noting that the $1 trillion infrastructure funding plan from the administration is expected to be unveiled likely after Congress’ August recess. President Trump is pushing a 10-year, $200 billion infrastructure plan with the objective of incentivizing $800 billion in investments from private-sector financiers. Meanwhile, the top Democrats on Capitol Hill are urging the White House and Republican leaders in the House and Senate to propose additional federal funding for infrastructure projects. Inaction on meaningful funding for transportation projects has prompted governors and legislatures in nearly two dozen states to increase fuel taxes over the past five years to pay for transportation projects. About a dozen more states are considering raising fuel taxes this year.